Bug Art App – Another Little Bit Studio App – On Sale! Familiar with the Little Bit Studio Apps, Bugs & Buttons, Bubbles and Buttons, Bugs & Buttons 2, Bugs and Numbers, often favored apps of OT’s? 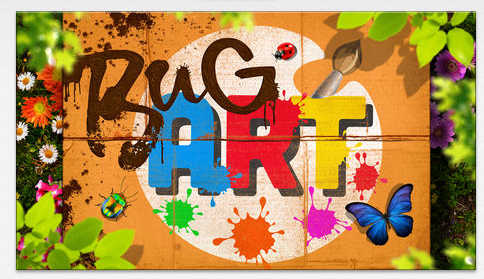 Bug Art app (iPad/iPhone; on sale for 1.99) is their newest app that provides some fun summertime visual motor activities. Not as educationally geared, this app provides drawing and designing bugs along with interactive bug requiring visual motor skills. Used for fun, fine motor, bilateral motor control, visual motor skills, this app can easily be used as a reward during a therapy session. Butterfly Valley – Fly your butterfly on a pathway. Requires bilateral control and motor planning to tip and direct the butterfly down a pathway. The pathway is visually subtle, requiring fair figure-ground discrimination to follow the path. Rewards are gathered along the path to as frequent targets and keep you going. Playground – Use your designer bug or existing bug to collect pearls through mazes and activities. Requires exploration and practice for navigation. 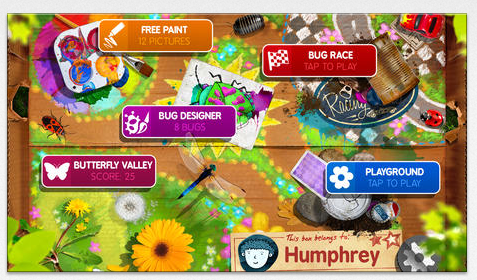 Other features of Bug Art includes ability to create multiple users, turning off background music, a camera to take pictures and resetting game data. No connection with social media, in app purchases, or collection of user information is present in the app. I believe this app is suited for students 5 years and older. Whether for summer fun, OT intervention or reward in therapy, Bug Art app (like the other Little Bit Studio apps) is a worthwhile app for a school based OT mTool Kit! “Your Therapy Source : Ways to Motivate Children. Your Therapy Source, 9 Nov. 2009. Web. 02 July 2014. <http://yourtherapysource.blogspot.com/2009/11/ways-to-motivate-children-in-therapy.html&gt;. This entry was posted in App Reviews, Apps for OT's, Drawing, Elementary School, Finger Isolation, iPad, iPhone, Just for Fun, Occupational Therapy, Primary Grades, Visual Figure Ground, Visual Motor. Bookmark the permalink.